October 2012 Synchroblog: Faith and Politics … What do you think? Should a person’s faith impact their vote? 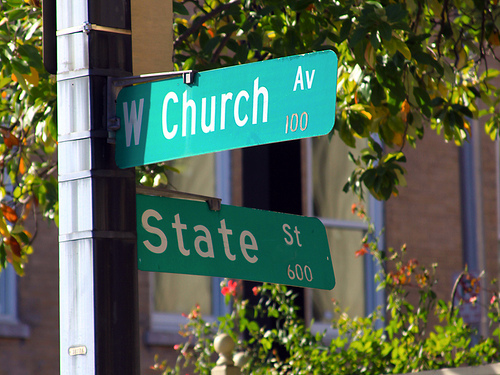 What place does faith have in the public square today? Is it possible to detect the fruit of the spirit in public figures? Does our theology help us decide what voices to give weight to and what voices to ignore or do we tweak our theology in order to support our political and/or social preferences? How can we be faithful to our own beliefs and convictions and still do what is best for everyone? Is our faith a good reason to create legislation? Should we be concerned about the faith of our leaders? Does connecting faith and politics do more harm or more good? Do you think there should be more or less religious talk coming from those who hold or are seeking to hold political positions? Share your perspective about faith and politics on your blog this month. Post your links in the comment section of this post by 6pm on Tuesday October 9th and a link list will be published on Wednesday October 10th. A special thanks to K.W. Leslie and Carol Kuniholm for inspiring this theme through their input via our Synchroblog survey! Here is my post titled “We the People”, http://wendymccaig.com/2012/10/07/we-the-people/. I am traveling this week so I needed to get it up while I had the chance. I am really looking forward to reading everyone’s position on this topic. Thanks for picking up this topic. I’m happy to have the opportunity of seeing how others are responding to the challenge of faith and politics in such a divisive climate. When I think of politicians, I think of plumbers (and used car salesmen). Thanks for choosing timely and interesting topics. Wow, barely made it in time. I will try and get the list of links up shortly. Thanks to all of you who have contributed. I look forward to reading your posts. here’s mine! thanks, liz your’e awesome. I only learned of this synchroblog this morning so it is probably too late to submit this, but here’s a piece I wrote the other day in response to a very disturbing message at church on Sunday. Andrew – thanks for participating. I will add your link to the list now. Hi Andrew, I was late, too, and will be happy to add your blog to my list and visit everyone’s later on. Leah – thanks. I will add you to the list.